Tap Tap Trillionaire is the latest in a growing number of clicker games where you can earn more money – not real money, of course, but in-game money. 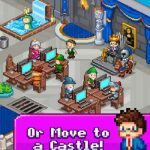 The game, which comes to us from Pixio Limited, allows you to run your own company, hire and fire traders (or collect them too), decorate your office or even move to a castle, and follow the old rule of business – buy low, sell high. You could end up making one trillion coins (because of reasons), as the game’s description continues. And in terms of the game’s graphics, it’s definitely got that old-school, 8-bit feel to it. There really isn’t much else to talk about, but then again, what is there to talk about? This is a tapping game where your goal is to earn as much money as possible, and that’s all there is to it. Or is it? 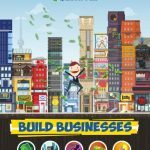 You’ve got AdVenture Capitalist and any one of several other games, but each of these money-earning clickers have their own unique features and twists. So keeping all of this in mind, we’re here to bring you our list of Tap Tap Trillionaire cheats, tips and hints, where we tell you all there is to know about earning more money in this game. 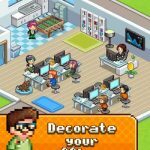 While in the real world it’s all about paying your staff, in Tap Tap Trillionaire, hiring staff can actually make you money. Hire as many employees as possible from the get-go, as these employees will be earning you money, with each employee earning you a fixed amount per minute. It won’t be much at first, what with common one-star and two-star employees, but if you hire enough staff members, the money will keep adding up as you continue playing the game. The money grabs, likewise, will get you common staff members, but once again, you’ll have to make do with what you have at first. So what happens when you get employees with better rarity? If you unlock a three-star employee or better, you can switch that employee in exchange for a more common one. Tap on the staff member, or members you are planning to replace, and send them on a leave with no pay. Cruel in real life, but in this game, it’s what you need to do if you want to earn. Diamonds are the game’s premium currency, and fortunately, it’s not hard to earn diamonds in Tap Tap Trillionaire. So how do you get more diamonds? Just keep completing more achievements, and focus on making money for the investor. And let those diamonds add up until you’ve got about 75 of them. Once you’ve got enough, you can then unlock a premium, or super-rare character, meaning someone with a guaranteed four or five stars. Of course, their success rates will be much better than your commons, and they will also come with a special skill that could help you earn more money faster. When looking at potential employees to add to your company, you’ll notice that they have a success rate. More stars means better starting success percentage, though you can improve the success rate of the employees you already have. You can do this by spending coins, though we’ve got to warn you that the costs to upgrade staff members could escalate rapidly. Fortunately, it doesn’t always have to be that way. By that, we mean focusing on your rarer, or higher-star staff members, as they can earn you more cash. Don’t pay much attention to your staff, if at all, if their success rates are less than 40 percent. Eventually, you should ideally have an office staffed by characters with four to five stars. This game gives you three choices of stocks which you can purchase. Bonds are the least impressive stocks, as their value doesn’t fluctuate too often. Getting them, however, just might allow you to earn a decent amount of money, though this would require some timing. Stocks are your average, everyday investments, and they can be very fickle, just like they are in the real-life stock market. The good thing is that you can earn a tidy profit based on percentage, but the bad thing is that you won’t earn much in terms of money. Lastly, Artifacts are the premium stocks which you can purchase, and while they can earn you lots of cash, they cost a rather premium amount of money, as you may have figured. It’s that general rule we told you above – buy low, sell high. But how can you do this in Tap Tap Trillionaire? The first thing you have to do is to take note of the usual prices for the different shares. You can take down the recent pricing trends by typing them in a Word or WordPad document, for instance, or snap screenshots of them on your device. For example, you can take note of a stock like Cracka Cola, which has a downside of $2 per share and an upside of $7 per share. Buy that stock when it’s in the $2 range, and sell it when it closes in on the upside, but not exactly reaches it. We’ll expound on that in the next tip. When talking about the best time to sell, that would be when you’ve already made a good profit. Using the above stock example of Cracka Cola, it’s best to sell your shares of the stock once the price hits $5, or even once it hits $6. You can then invest the profits you earn in another company (just as long as its prices are in the downside or near that), as opposed to waiting until the shares reach their typical upside of $7. Keep on trading and always remember that your goal is to earn a ton of profits. That means never, ever selling for a loss, unless it’s too late to undo a mistake you had previously made. Most of the decorations available for your office are purely cosmetic. 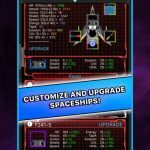 But there are some that could passively earn you money – and you know how important that is in clicker games like Tap Tap Trillionaire. These would be our tips and tricks for Tap Tap Trillionaire. Be sure to check back, as we are planning to publish some more guides for this game in the near future!